Brando (Aaron Brandes) - US has been researching and teaching movement practices for over 10 years and has taught and performed CI internationally and maintains a prolific YouTube (http://www.youtube.com/user/heybrando1) site. He hosts a bi-monthly event entitled VIDAM, which explores the relationship between improvised music and dance. He has cultivated an event called CI Ground Research, which has become a national platform for committed CI dancers to research the form. Brando has been working with Earthdance Retreat center on CI programming since 2005 and is currently on the Earthdance board of directors. Brando has completed the Fascial Bodywork/Structural Integration program with Tom Myers' KMI School. He also organizes a monthly Electronic Music Ecstatic Dance event called Pollinate. 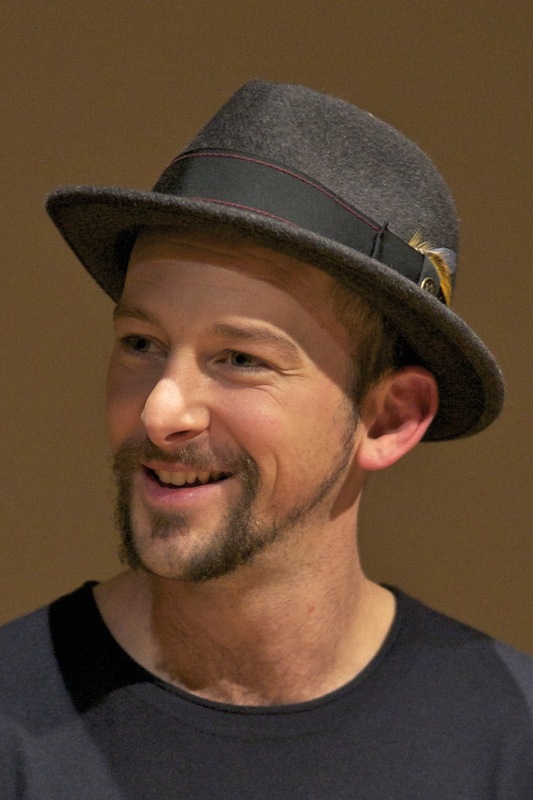 Brando received his Masters Degree in Education from Smith College and is a teaching artist/performer with Enchanted Circle Theater. Interested with CI as a form that both nourishes the body and invigorates our consciousness; Brando is fascinated by the combination of anatomical specificity and intuitive movement patterns. For him, CI calls forth a deep honesty and full expression. With structural integrity as the anchor for exploration, the ongoing focus of our intensive will be developing a deeper awareness of tone and release - thereby moving through space: walking, dancing, leaping, or falling, with more ease, efficiency, and elegance. Brando is also interested in exploring questions that arise throughout the intensive. 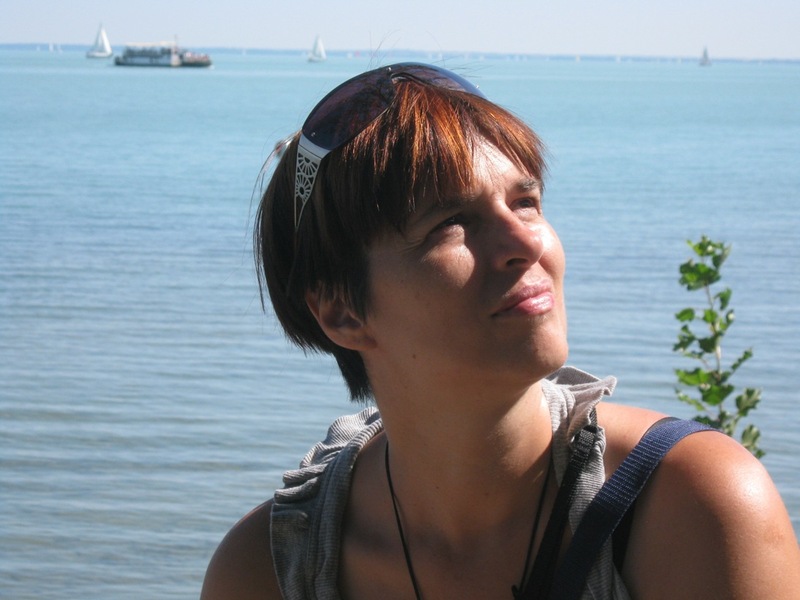 Enikő Szilágyi - HU is a performer, teacher and organizer; starting out with a university degree at the Hungarian University of Physical Education as a teacher of physical education, teacher of APA (Adapted Physical Activity) and physiotherapist. She studied contemporary dance techniques, contact improvisation, acrobatics at Contemporary DanceLab School in Budapest. Since then she has been passionately involved in dancing and somatic movement, learned from various magnificent teachers from all over the world. As a performer, she has participated in various research projects on improvisation and performance. Currently she is L1-residency holder (L1 Hungarian Independent Artists Association of Public Utility), founder of SphereDance Group, member of Tánceánia Company (an integrated dance company in Budapest). Enikő is one of the founding members of ArtMan Movement Therapy and Art Association founded in 2005. She teaches her own somatic-based improvisation system what called 'SPHERA'. She sees her main interest in improvisation, somatic movement, consciousness and the transformation of perception. Everything what we can see and feel around us affect our dance and quality of movement. We are able to sense our space of resonance and the bridge between the body-mind and motion. In each dance I am searching for that genuine moment of connection when we are in the unknown yet safely held in the flow of the dance. In these classes, we will practice yielding, listening, waiting in the gap as well as going with the flow, streaming and feeling safe in the unknown. Christina Klisiouni - GR is passionate about teaching, performing, and creating performance work based on CI, improvisation, contemporary dance, release techniques and somatic work. Since 1991 she is one of the first CI teachers in Greece training regularly dancers as well as amateurs with strong curiosity in movement work that promotes awareness, physical intelligence and creative expression through improvisation. In 2009 she opened her own studio Present Body in the center of Athens where she teaches regularly daily classes and workshops and collaborates with other teachers who are interested in movement research into their approach. She has presented her work internationally at festivals, ECITE and other venues. Parallel to her work as a dancer, she works as a body psychotherapist and shiatsu practitioner. In all facets of her work 'the meaning of contact' has been a life pathway that connects her research as an artist and a therapist. We will focus on “lifts” as a state of being, as a tool of support using the resistance of the floor as we play with gravity and levity. Starting from flying low on our own as well as in contact with another partner, we encourage suspension and balance in moving support. We explore CI skills such as rolling, spiralling, falling, jumping, catching, leverage to rise up, counter balancing as we play with weight and momentum. In the practice of CI we emphasize on listening through the senses and particularly, through touch, exploring the unknown and the responses that arise when the body is in a state of active attention, inner expansion and presence. Becoming aware of the oscillations and the inner pulsations that become pathways of energy and deploy into movement, we experience fluidity, musicality and flow. We are interested in breaking habits as we cultivate trust and safety in the process where movement unfolds itself naturally and efficiently. We improvise opening up our curiosity, our instinct and our physical intelligence to find pleasure in communication and physicality. Our dance contains the expression of infinite possibilities and reflects our choices, mirroring our fantasy, our skills and our sensibility, as it forms the story in the present moment. During the class we use hands-on-work and active visualization from anatomy to prepare our body in meeting the floor and the other dancers in a soft and an actively relaxed state. At the end of the class we use scores of improvisation to practice our performance skills with CI. 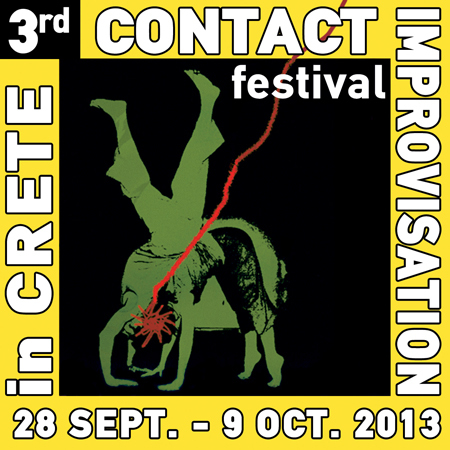 Konstantinos Michos - GR is interested in using dance as a tool for social awareness. 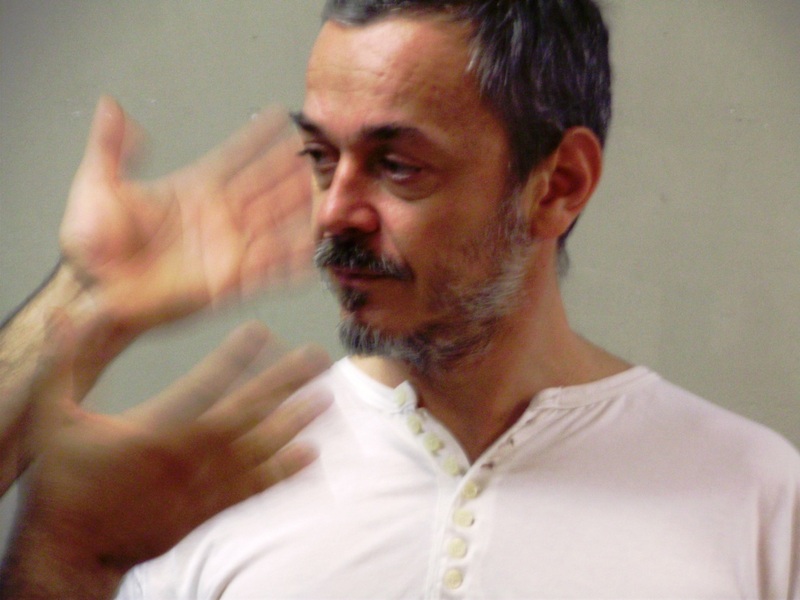 Οrganizer of Athens Contact Improvisation Jam since 1998, ECITE 1993 & 2004, he has introduced in Greece mix ability dance, created performances in public spaces fused with historical and political connotations. Since 1988, he has taught in universities, professional dance schools and workshops in Greece and Europe. In 2000, 'Empty man' a dance production based on structured contact improvisation, with a 7 months pregnant dancer, was awarded the National award for choreography. A pure physical class that will try to address a theoretical issue, how an open, folk, non egalitarian form of expression and communication is being till now actually isolated from society. Georgia Petrali - GR is a performer, choreographer, director, teacher of movement and dance, founder of Fysalida Dance and Contact Improvisation Crete Festival as well as an external associate of the Dance Centre based at the Pancretan Stadium in Heraklion. She studied dance in England and continued her postgraduate dance studies in Holland. From 1998 to the present day, she has taught movement, improvisation, classical ballet and contemporary dance in England, Switzerland, Portugal and Greece. In 1999 she 'discovered' CI and ever since has declared herself to be 'in love' with it. Fulfilling activist actions through movement and art, taking an architectural look at the various places where an artwork is presented, improvising, collaborating with professional/amateur artists and with ordinary people through 'community dance', dance-theatrical patterns, socio-cultural activities and research are only some of the characteristic technical features and well-trooden 'emotional paths' of the artistic activities and productions prepared by Georgia. The human body is a 'living building' that is in direct contact with its natural environment, both internally and externally. The 'active' human being's relationship with the city and society that he lives and works in can become a source of inspiration, reference and research, an emotional and socio-political statement and imput of soul, body and mind. Movement expression, improvisation and contact with ‘gaia’ (terra, earth, γη in modern Greek); a basic principle of exploration, bringing our body to the necessary state of awareness in order to move with clarity, flux and sensation. The circular, incessant routes will motivate our internal pulses and the exploration of our ‘personal movement’ through our senses and sensibilities will lead us to an internal-external energetic turbine. The moods created through our kinetic travels and the relations evolving as the bodies move and co-exist around us, are the main elements and stimulus for self-observation of our psychological state. Ane Grimseth - NOR studied at the European Shiatsu School in UK where she also did her teachers training for Shiatsu. She has been practicing shiatsu for the past 25 years. 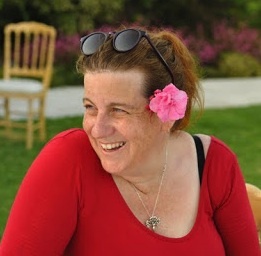 For a number of years Ane has been a representative for Greece to the European Shiatsu Federation. 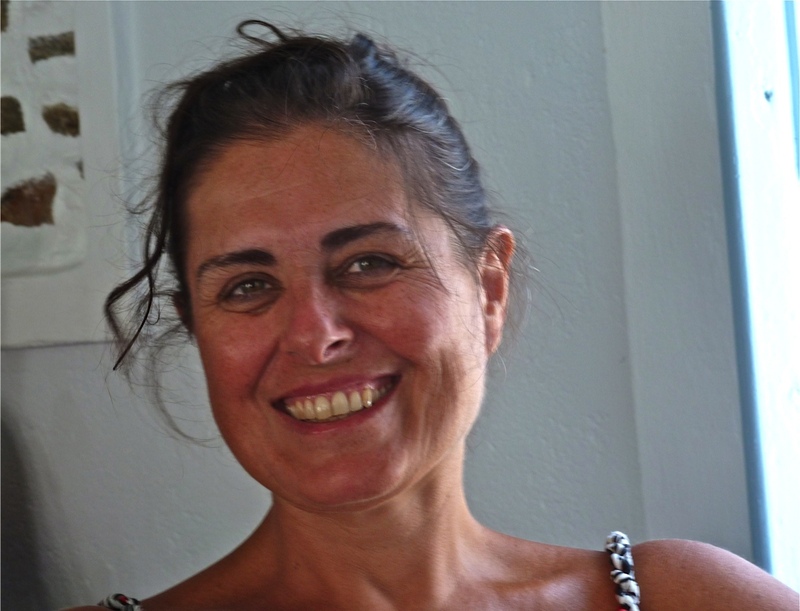 She has been part of the development of the Hellenic Shiatsu society where she is currently the vice president. Since 2008 she has been active in developing shiatsu in Norway where she has set up the first 3 years course of shiatsu. During this period she took an active part in the development of the Norwegian Shiatsu society. 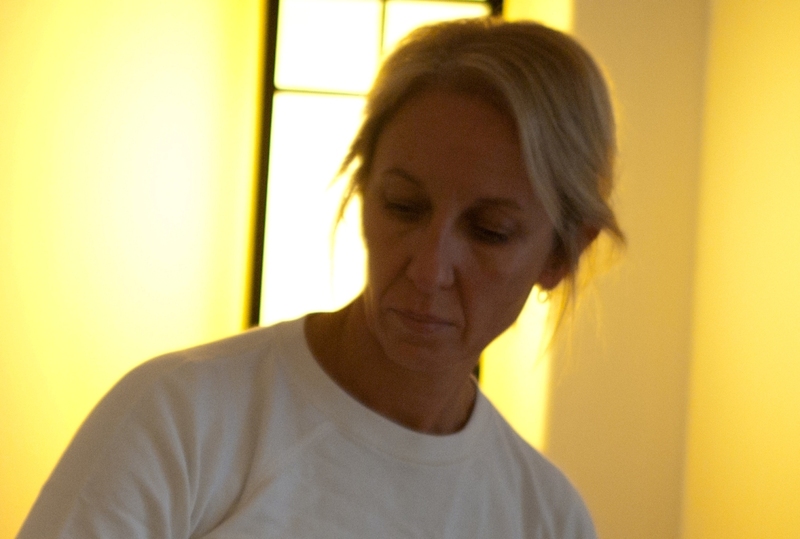 She has been teaching shiatsu since 1994 and runs a daily Shiatsu practice. Shiatsu is a form of therapeutic body work which developed in Japan from a synthesis of traditional Oriental massage, acupuncture and incorporating some Western style physiotherapy techniques. In Shiatsu the body is viewed as a self healing mechanism animated by a vital life force energy known as Qi. When there is a blockage in the flow of Qi (due to tension, injury etc. ), this results in an imbalance in the system which can manifest as pain or even illness (on both physical and/or emotional levels). The word Shiatsu literally means finger pressure and the various techniques involve applying pressure using thumbs, fingers, palms, forearms, elbows, knees, and even feet along energy channels or meridians to encourage the energy (Qi) to circulate freely throughout the body. Shiatsu is used to help the body, through its own powers and mechanisms, regain its natural balance become stronger and more energized. Shiatsu also promotes vitality, stamina and relaxation and helps prevent disease and can be used as a form of self-development. Ιt will give us the possibility to explore the process of touch, its power and to develop the awareness of impulses transmitted at the moment when the energies of touch come together.